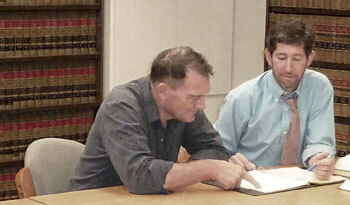 Providing legal services for land use development applications, regulations, decision making, litigation and more. Providing legal services for real estate selling, purchasing, and leasing agreements, boundary and easement disputes, litigation and more. Providing legal services for business formation and incorporating, transactions, agreements, disputes, litigation and more. I have over 23 years experience as an attorney and serve Santa Cruz, Santa Clara, San Benito and Monterey Counties with superior and efficient land use, real estate, and business law services – all backed by professionalism and integrity. My practice generally consists of advising and representing property owners and development project applicants on real estate and land use issues so that they can make informed strategic decisions and accomplish their goals as efficiently as possible. Specifically, I help with the following. I defend development permit applicants and local agencies against administrative and judicial challenges to development approvals. I help property owners solve issues involving title, boundary, road/driveway, fence, homeowners’ association and other neighbor issues. I help clients resolve business disputes, through negotiation, mediation and/or litigation. In my role as a real estate, land use or business attorney, I am committed to supporting my clients in making wise business decisions that will help them achieve their goals. I pride myself on being responsive to my clients, trustworthy, easy to talk to, and patient in explaining relevant laws and procedures. I would be honored to do the same for you. Please call today and let’s start the discussion. Get legal advice. Steer clear of trouble. Call me at my Capitola office at (831) 477-9193. 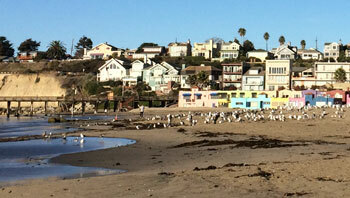 The Law Office of Miles J. Dolinger is located in the quaint little beach town of Capitola Village in Santa Cruz County. Mr. Dolinger represents individual and business clients in Santa Cruz, Monterey, San Benito and Santa Clara Counties, and throughout the entire San Francisco Bay Area.